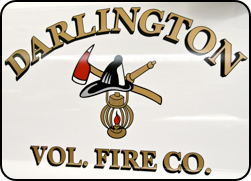 Established in 1954, Darlington’s 34 volunteer members provide Fire & Rescue services to the Borough of Ligonier in Westmoreland County. 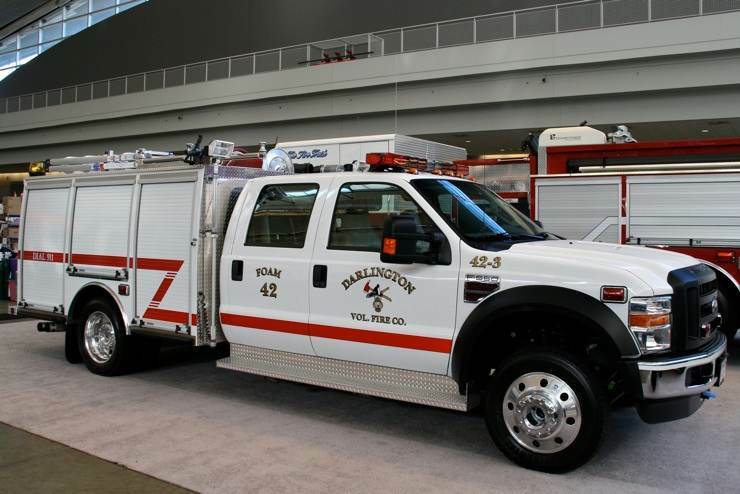 Their fleet includes a 1993 Freightliner KME rescue engine, 2003 Kenworth/KME 3,000 gallon tanker, 1990 Ford/Knapheide brush truck, utility van and the Foam/Mini-Pumper detailed below. While appearing to be a simple mini-pumper, this little rig truly proves that “size doesn’t matter” (at least on the fireground). Responding first due to all structure fires (many of which have narrow access driveways), brush fires with structural exposures and med-evac landing zones, this rig packs quite a punch producing 1,800 gallons of foam without the aid of a water supply!! Responding with the department’s 3,000 gallon tanker, this rig can provide a substantial knockdown and is often requested on mutual aid for extinguishing hotspots during overhaul. 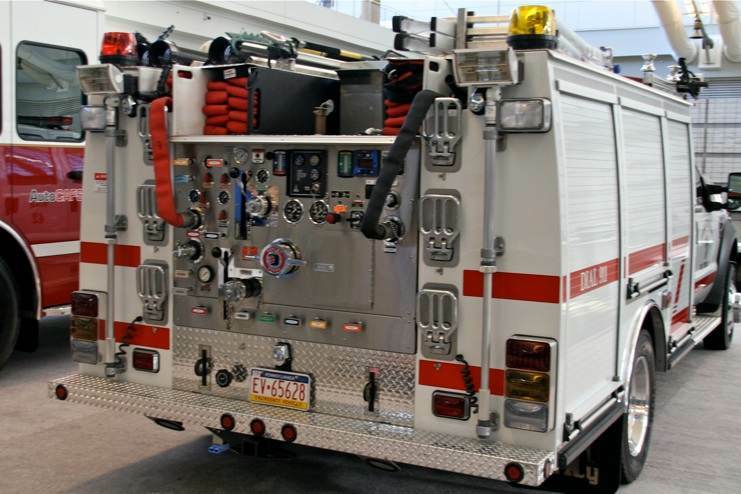 The “business end“ of this rig is loaded with 400’ of 3” supply line, two 200’ 1 3/4” pre-connects (plumbed for CAFS) a 100’ reel of 1” booster line (plumbed for CAFS) and three 8’ sections of 4” hard suction tube. In addition, it also carries a 2,000 watt generator, 9,000 lb. portable winch, 16” electric vent fan, chainsaw, RIT pack, DeWalt cordless reciprocating saw, 2 PFD’s and a 22’ foldable ladder. it is equipped with a total of four Draeger SCBA. 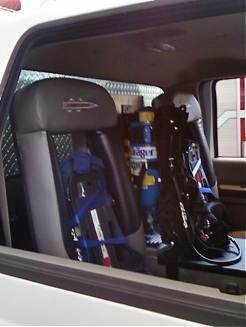 Two are mounted in SCBA seats in the extended cab with the officer’s SCBA mounted in a bracket between them.The driver’s SCBA is stored in a side compartment along with 4 spare bottles.